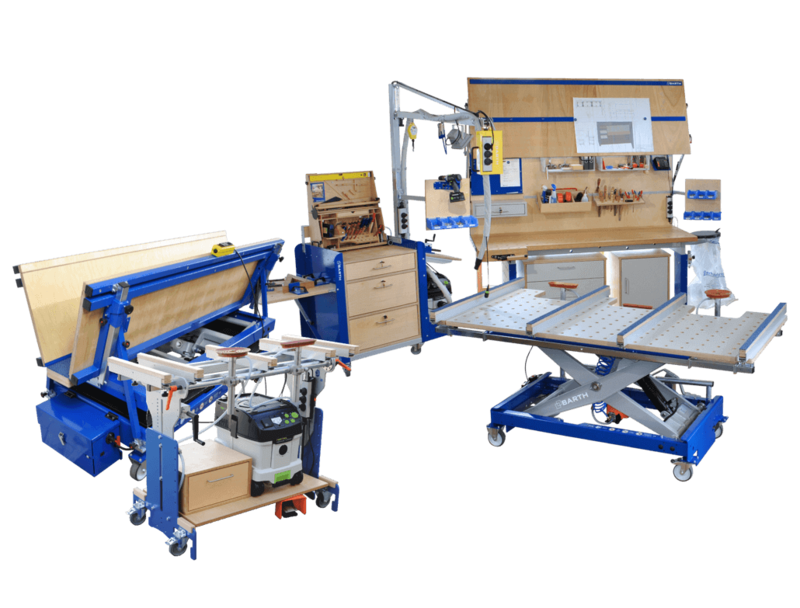 With our model overview of all BARTH work tables you have everything quickly in view. We build work desks that are really for practice. Depending on the version, the height can be adjusted by means of a foot pump, electric or battery-operated unit. 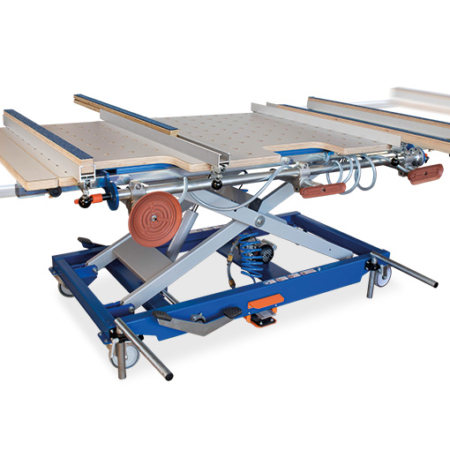 All worktables have a solid base frame, which, depending on the design, also safely carries workpieces up to 500 kg. 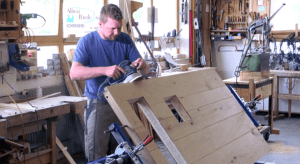 A worktable that follows the workpieces to every point in the workshop. The Barth assembly tables can be adjusted twice in height. This allows the vacuum cups to be adjusted in height and inclination with a single movement. 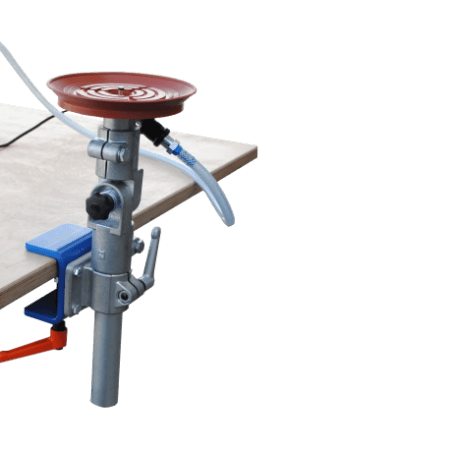 Depending on the version, the tables can be adjusted electrically, by hand crank or with gas pressure springs in height. 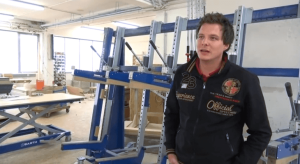 Barth has developed trend-setting vacuum cups for the workshop. Protect sensitive surfaces. With our suckers you can stretch without marks and without silicone residue. 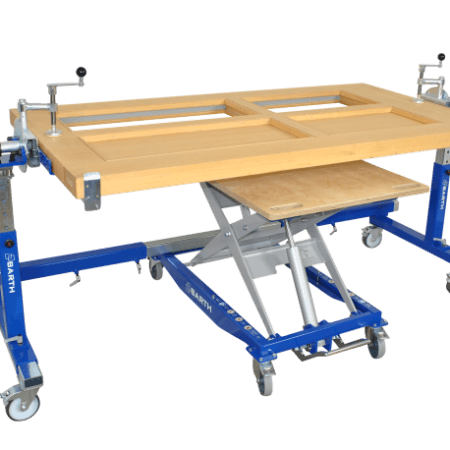 Mobile work tables and assembly tables are part of the basic equipment of every workshop and will appeal to every craftsman. 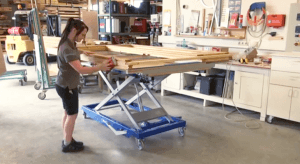 Our individually designed and height-adjustable or inclinable work and assembly tables are stable and safe. 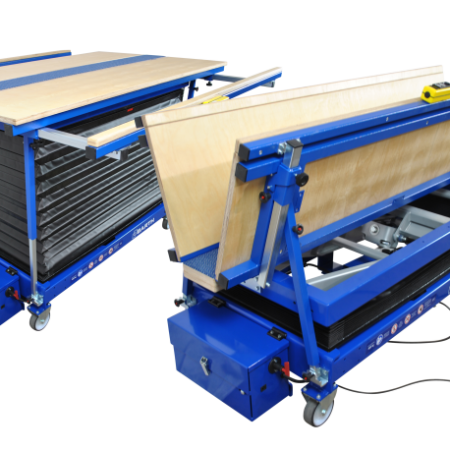 They consist of robust base frames and follow you – thanks to lockable rollers – into every corner of your workshop. 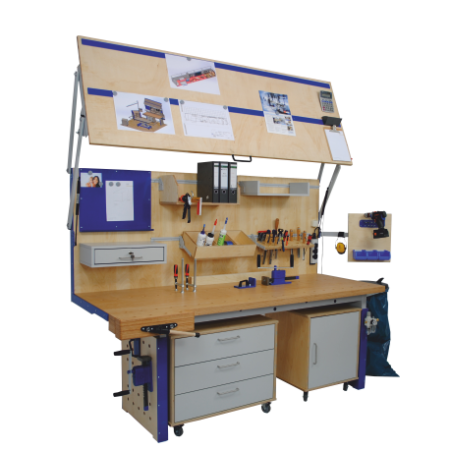 Our worktables offer support surfaces for workpieces of up to 500 kg in weight. 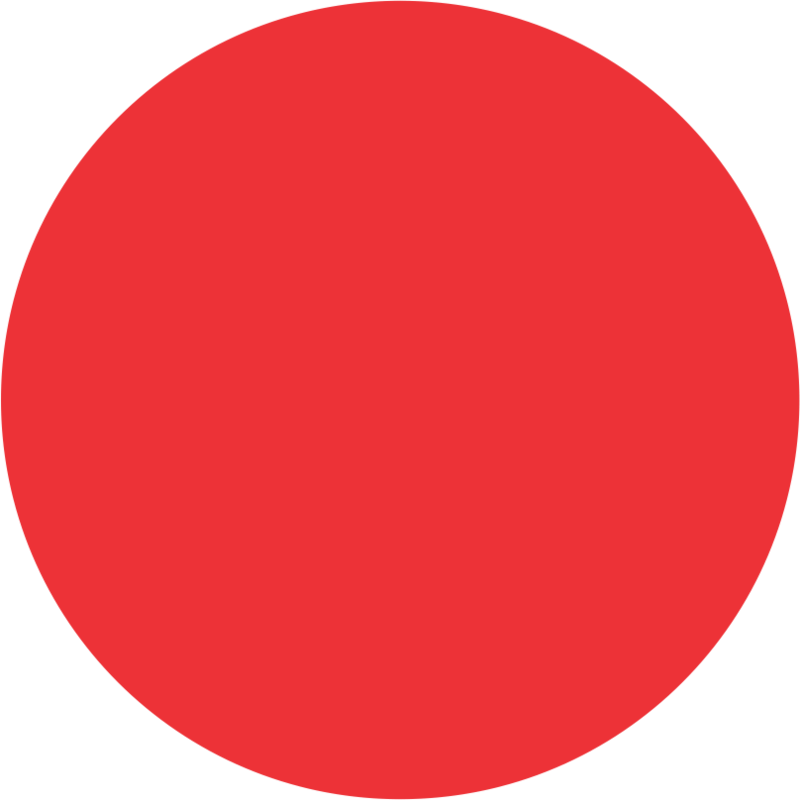 For mounting, they can be brought quickly and safely to the appropriate height and inclination: electrically, hydraulically or by means of a hand crank. The basis of the work tables with multifunctional perforated plates are our extremely robust scissor lift tables. 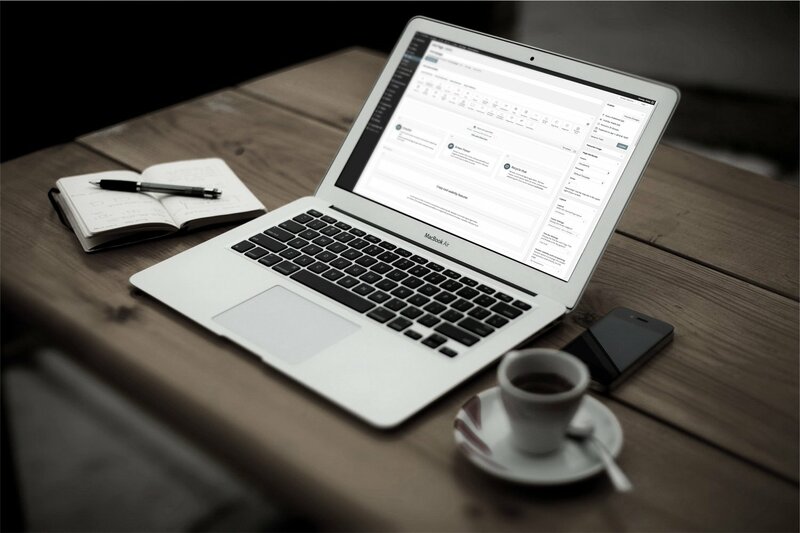 Our organizer desks meet all the requirements for a tidy and ergonomic workplace. 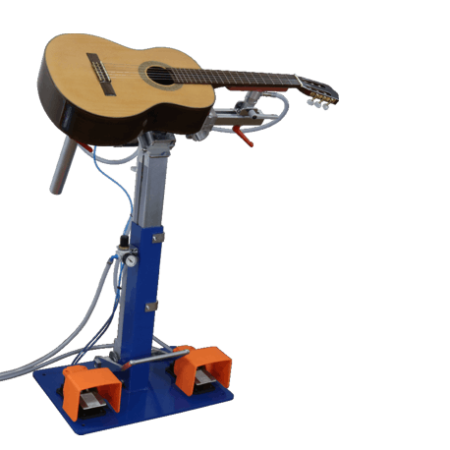 The feet are also height adjustable, the plate is generous and offers the possibility to clamp workpieces. On the back wall of the workbench there are shelves and storage space as well as a clipboard for plans. 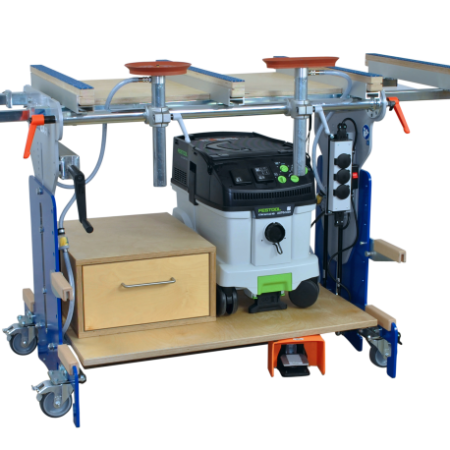 Of course, there are plenty of mounting options for extensions of the workbench for assembly purposes, including electricity and extraction systems. 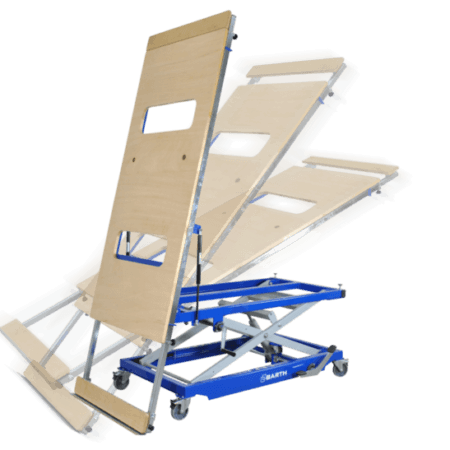 Our BARTH assembly trolleys with multi-swivel arm are your perfect assistant at the manual workstation. 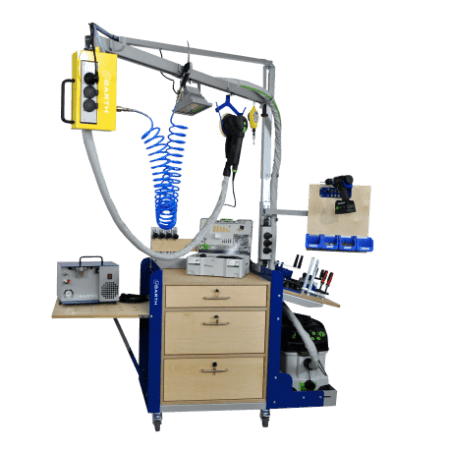 Tilting tables and work tables with turning device expand our portfolio, workbenches with clamping devices complete our offer. 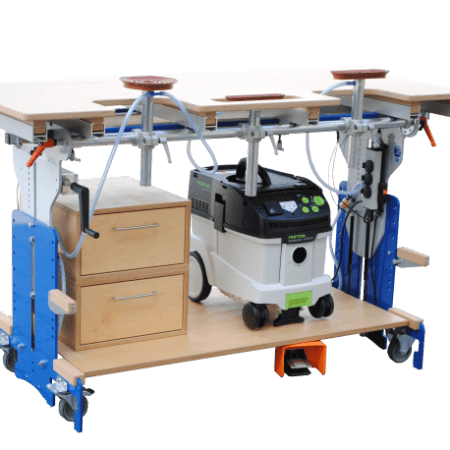 With extensive accessories for our work tables and assembly tables, such as vices, vertical clamps, mounting frames, suction cups, shelves or drawer panels, your workspace will be as individual as your job. 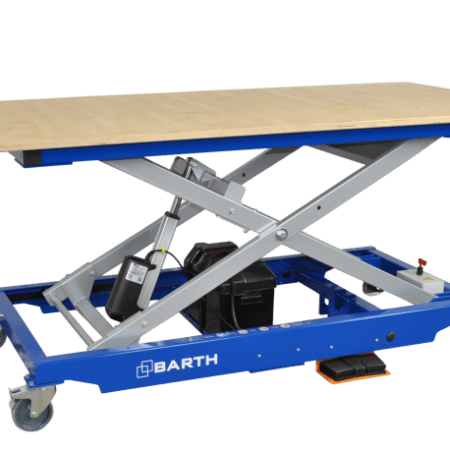 The ergonomics of a work table from BARTH also ensure the success of your company: With a customized work table, you will demonstrably record fewer illness-related failures – and thus minimize health risks. Personally designable workplaces also contribute to employee satisfaction, thereby increasing performance at the same time. 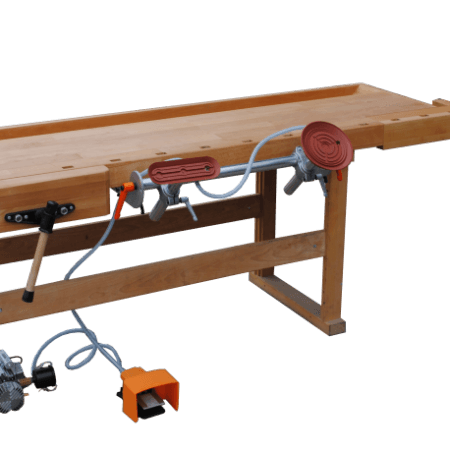 No matter whether you use your work table or purchase it from us: A work table or assembly table from BARTH is indispensable for your workshop!